Answer a few questions about Your Car with Major Mechanical Issues & We'll give you an instant offer! What's your car's value AS-IS? The value of a car with a blown engine will obviously depend on what make, model, and year it is. However, there are many more factors that add or detract from the value of a blown engine car. To give you an accurate vehicle evaluation we ask the most relevant questions with our online form and can instantly calculate the price of your car with a bad engine. We also have a very detailed guide on blown engines with makes and models in mind, if you want to check that out. 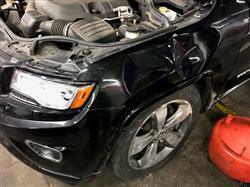 Whether you have a car Ford truck blown engine, cars like a Dodge Ram bad engine truck, or any other truck with a seized engine we will make you an offer. 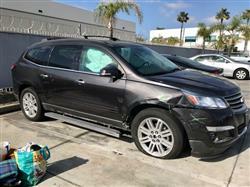 We buy most makes and models of mechanically damaged cars, jeep blown engine vehicles included! After your Ford excursion bad engines gave your car it's last mile, you can still profit from selling a truck with a bad engine. A recent car we've purchased is a 2003 Ford Explorer 4.6 L seized engine truck, and the customer was very happy with the price we offered. You're probably wondering 'how much is my car worth with a blown engine', which is a common question when considering selling a car with engine problems. And if your car's engine blown & still owe money on it then the calculation can be more complex. Usually selling a car that needs an engine is the least hassle, and most profitable for you, because repairs and engine replacement are extremely expensive. Trade in Car With Mechanical Problems - What to Do With Cars With A Bad Engine? Can you trade in a car with a seized engine? Well, it depends on how flexible your used car dealer is, but in most cases they are only interested in running cars. 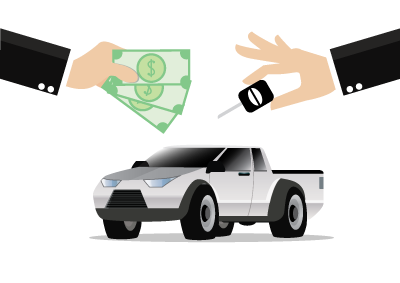 The dealer will view it as a vehicle they have to sink a sizable amount of money into before it's in shape to sell on their used car lot, which gives them either a very small profit, or none at all. You probably won't get the full amount of how much your car is worth with a blown engine. Check your car's value quickly if you need a basis of what you might get when you sell a car with engine problems. How to Trade in Car With Engine Problems? We buy cars with blown engines regularly, so we know how much each car is worth. Bad engines don't mean the entire car is destined to be crushed in the scrap yard, but it also means trading in a car with a bad engine for a decent cash value is also unlikely. 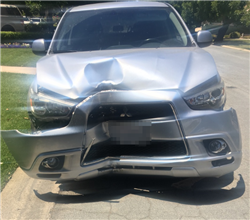 Our expert damaged car buyers take a look at your car specifically, exactly as is, and give you a fair price fast. Check out how much your blown engine car is worth before you scrap it for junk metal prices. If you have any more questions before selling your, car check out our FAQs. A blown engine is an engine that has suffered catastrophic internal mechanical damage. Blown motor damage takes the form of a valve breaking and punching through the top of a piston, making a hole. Repairing a blown engine can cost as much as $6,000 or more since the engine likely will need to be replaced. Good news, rather than spending thousands on your car you can sell it! Maximize your time and money by selling your car to us. Submit your online request for an offer for an offer today. Can I Trade in A Broken Car? The process is simple. Go to any page on our website click "Get an Offer." For most cars, you’ll receive a guaranteed instant online offer. Or, we may need a few more details about your car, and you will receive a call from one of our car buyers shortly after you submit the form. They’ll give you your offer over the phone and email it to you. Sell Your Broken Car With Engine Problems! CarBrain takes into account a variety of factors when making you an offer for your vehicle. For example, your location, the wholesale value of your car pre-accident, the extent of damage or mechanical and electrical problems, the current market demand for your vehicle and its parts, its make, model, mileage and age all play a role of deciding the value. For example, some cars, like a 20-year-old sedan that doesn’t start or run, won’t get the same offer as others, like a low-mileage two-year-old sports car with collision damage. Some vehicles fall in-between, like a high-mileage ten-year-old SUV with electrical problems. CarBrain is a free service. There are no charges for evaluations and offers. If you sell a car with CarBrain, we pay for pick up and towing. We have no hidden costs. When you sell your car to CarBrain, we pay you, not the other way around. So just fill out a few details of your car to get an offer now.